This post is a contribution from our friends at Admit.me. You’ve decided that law school is your next step. But, there are approximately 200 accredited law schools in the US. How do you choose which schools to apply to? Many applicants want to apply to only the top schools, as ranked by US News and World Report rankings or a similar organization. The methodology of these rankings is regularly critiqued, as the criteria which serve as the basis for the US News & World Report rankings do not necessarily mirror the criteria an applicant should consider when choosing a law school. While many applicants go to the rankings as a starting point for choosing law schools, remember to think critically about the rankings and how they relate to your experiences and goals. So, what criteria should an applicant look to when choosing a law school? There are a number of different factors applicants should consider, some relating to the law school itself and others focusing on life after law school. Of course, applicants should consider the reputation and resources of the school, beyond just what can be gleaned from the US News & World Report rankings. Carefully study the websites of law schools you are considering to learn more about the specific programs they offer, and how they align with your interests and goals. If you are interested in International Human Rights Law, find out which schools offer courses and clinical opportunities in that field. Some law schools have a reputation for sending graduates into academia or the judiciary. If these are your career goals, look for law schools with a record of graduates succeeding in meeting these goals. You should also consider class size and think about what sort of classroom environment works best for you. A law school with a larger 1L class may have a lot of big lecture classes. If you prefer greater contact with your professors, you may choose to consider law schools with a smaller class size. Where possible, it’s helpful to visit the campuses of law schools you’re considering, so you can get a sense of the school environment and the campus culture. When trying to choose law schools to apply to, applicants should consider more than just where they want to spend the next 3 years. You must also think about what you hope to do when you graduate from law school, and where you hope to do it. News reports are full of stories with the decreasing number of applicants to law schools and the tight job prospects for law graduates. Thus, it is critical to look at the statistics available on each school’s website about the success of its graduates in the job market. Look carefully for the percentage of graduates working in a field requiring a law degree within 9 months of graduation, to make sure that you’ll have a good shot at being employed after law school. Applicants should also think carefully about the geographic area they’d like to live in, not just during the 3 years of law school, but also after school. Many schools are regional, sending their graduates to jobs in the same metropolitan area or state. If you have family ties and a strong desire to live and work on the East Coast after law school, you may decide to apply to schools in New York, Boston, or Washington, DC, rather than those in California. Again, all law schools will provide data about where their graduates work on their website. And, of course, most applicants will also want to consider the cost of the law school itself and the likelihood of getting scholarships or financial aid. In the current job market, many students choose to go to the schools with the best financial deal, rather than graduate with a large amount of debt. Applicants should remember that their debt load will have an impact on their career options, just as the school name on the degree will. 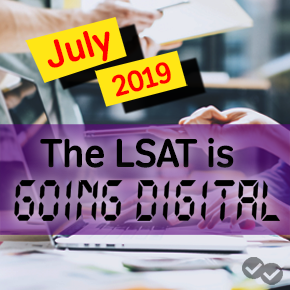 Applicants can begin to categorize their list of schools by understanding more about the probability of their admission to any given school, based on their LSAT score and undergraduate GPA. You can do this by researching the schools that you are interested in, or speaking to a test prep and admissions advisor about your admissions odds. Please note that the LSAC does NOT make the admissions decisions, and that admissions committees consider more than just these two factors. Still, it is a starting point to help applicants make a realistic judgment about which schools to apply to. Once you’ve categorized your list of schools, you can make the final determination about which schools to apply to. While applicants may choose to apply to as many “reach schools” as they like, applicants should be sure to apply to at least 3 schools in their strike zone, as well as 2-3 “safety schools” that they would be willing to attend. While it would be helpful, there is no mathematical formula to determine which law schools an applicant should apply to. But if you take the time to consider the factors laid out in this article and make realistic choices, you have taken the first step to becoming a lawyer. Jennie Rothman is the Director of Admissions at Admit Advantage, a leading admissions consultancy, and Admit.me, a free admissions social network with the goal of leveling the admissions playing field. Jennie graduated with honors from Harvard Law School, where she was editor of the Harvard Civil Rights-Civil Liberties Law Review. She received her Bachelor of Arts in English Literature from Princeton University. How much does applying to law school cost? 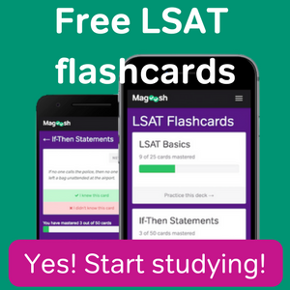 How Long Should You Study for the LSAT? Admit.me was built to connect college applicants with admissions insiders: students, alumni, and experts at your target schools. Their goal is to level the admissions playing field and give you the insight and guidance to help you achieve your college admissions goal.